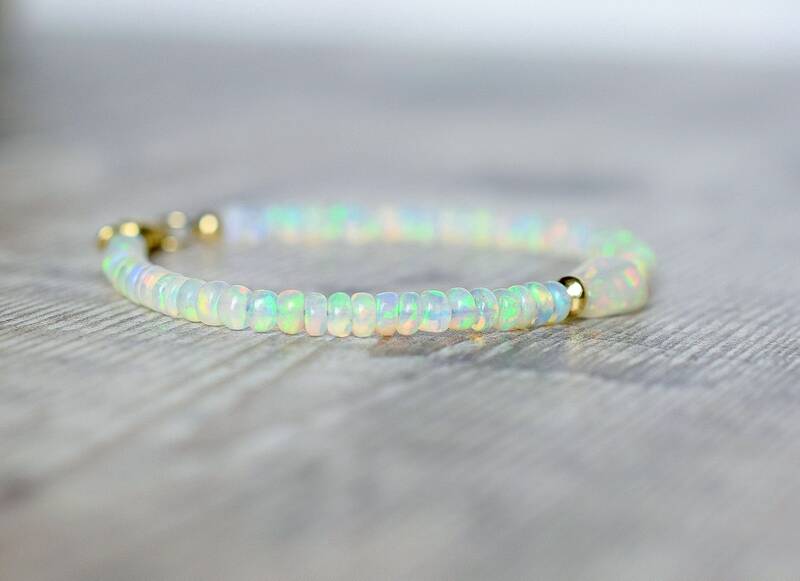 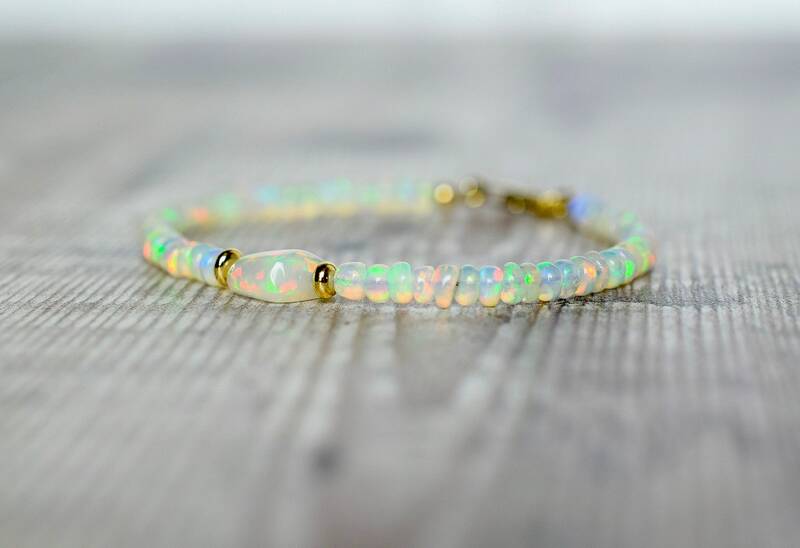 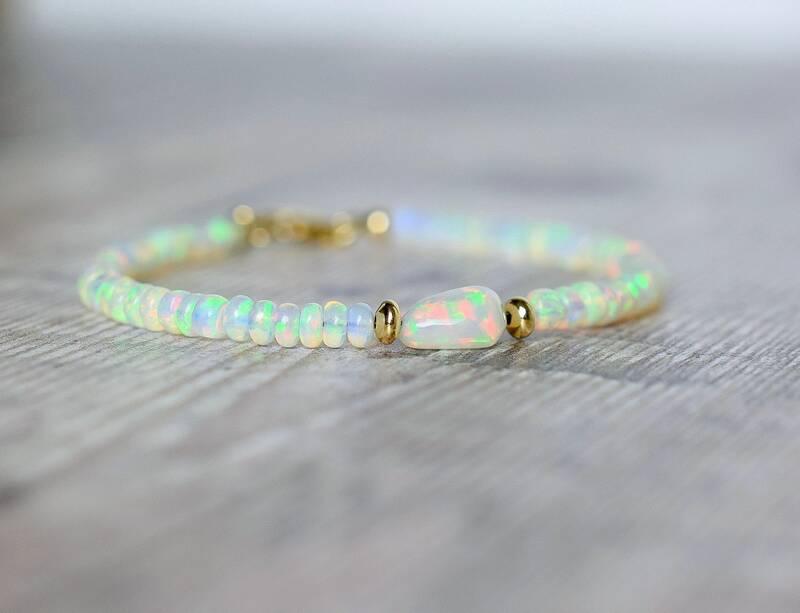 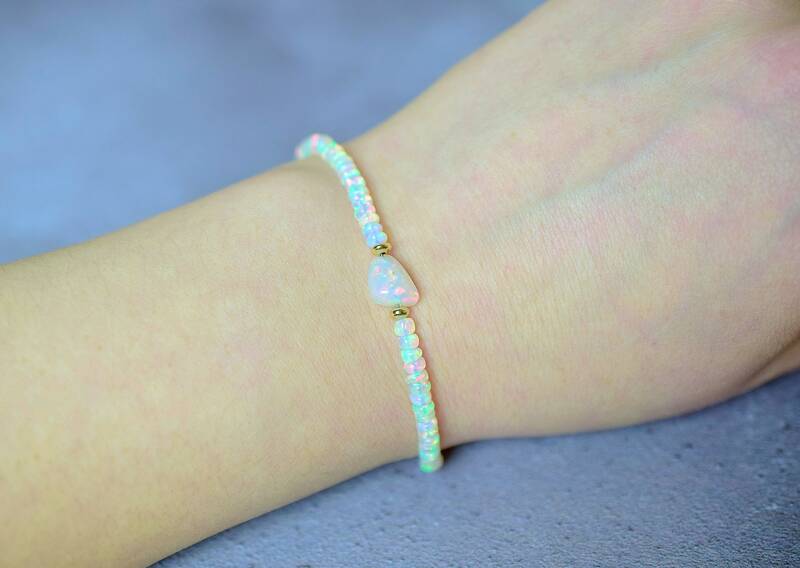 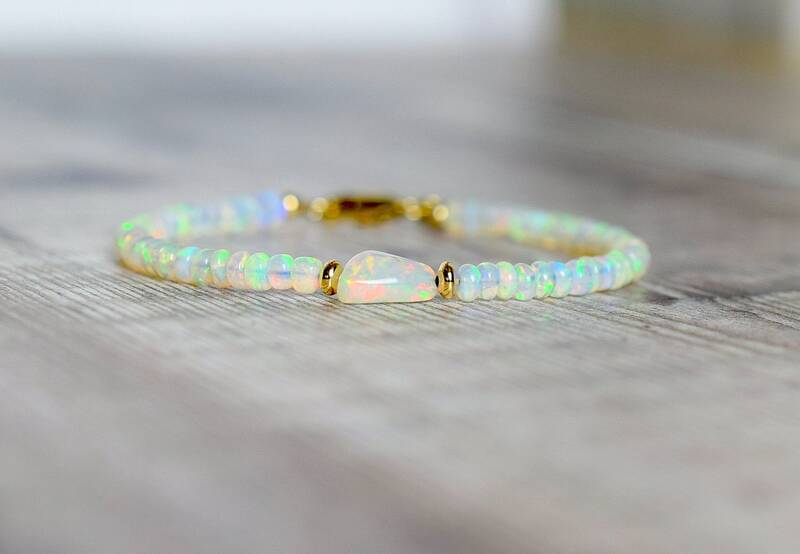 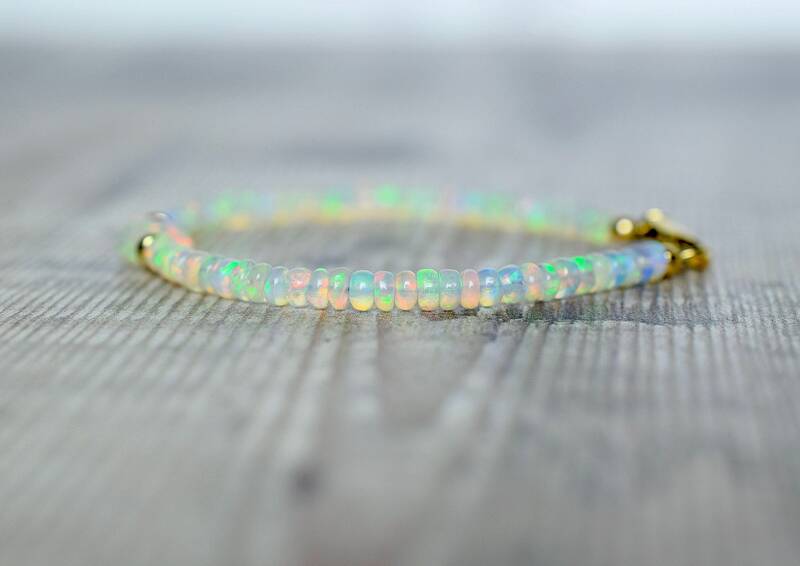 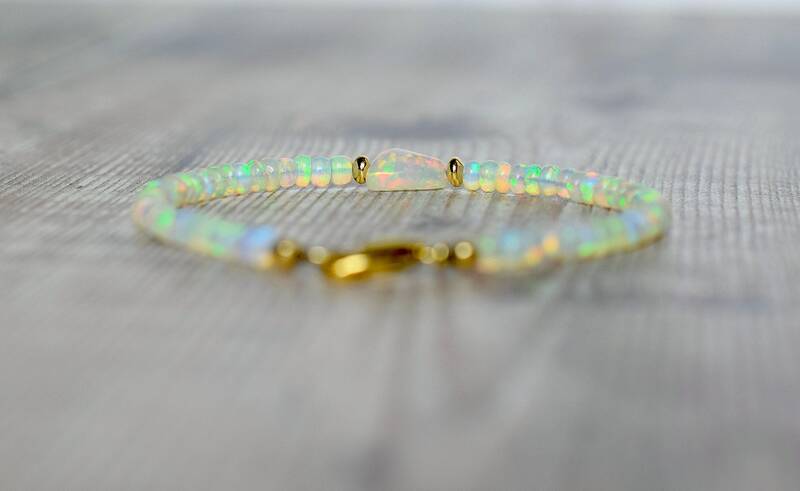 The Fire Opal bracelet is designed with high quality smooth Opal beads that have lots of fire and colourful flashes in all colours but with particularly vibrant greens and blues. 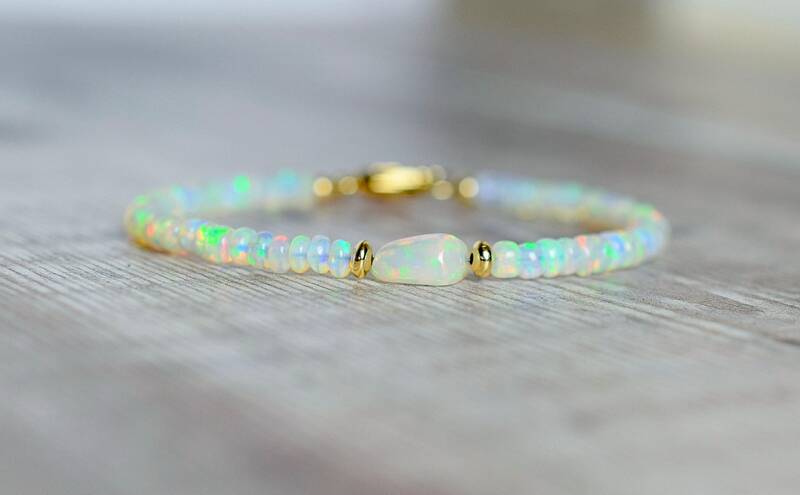 At the centre of the bracelet is a beautiful Ethiopian Fire Opal nugget with wonderful fire and flashes. 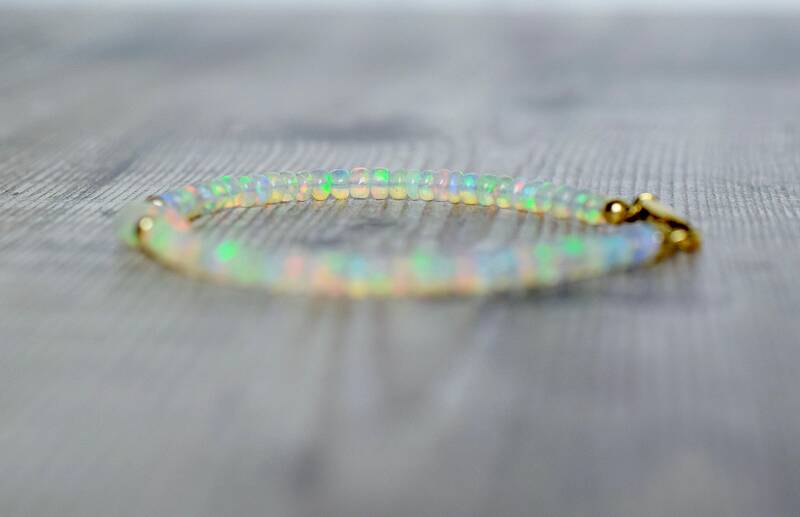 The Opals have been accented with Gold Filled beads and the bracelet fastens with a 14k gold filled Lobster clasp. 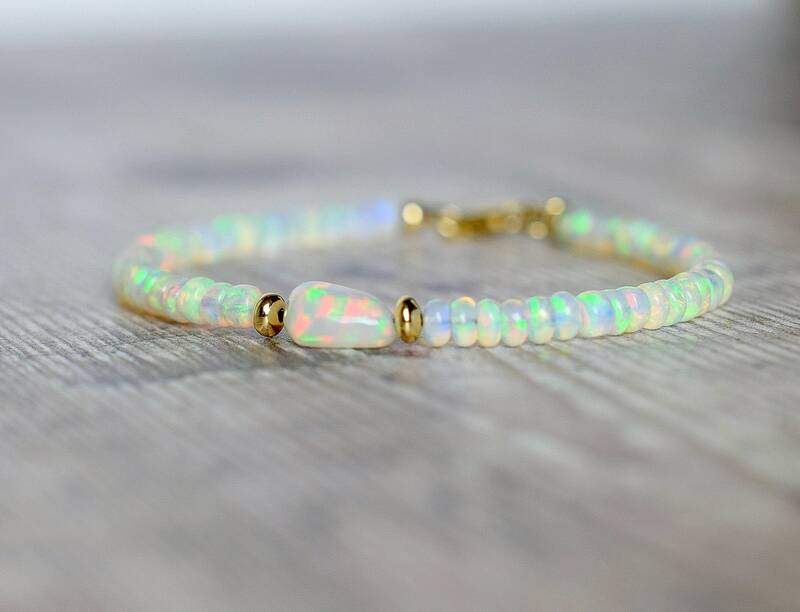 * The Opal beads measure 3.5mm.